Great results were gained by DPR customers across all of the grids. DPR drivers and customers set the fastest laps in all six races including Craig Currie’s new lap record for Supersport. 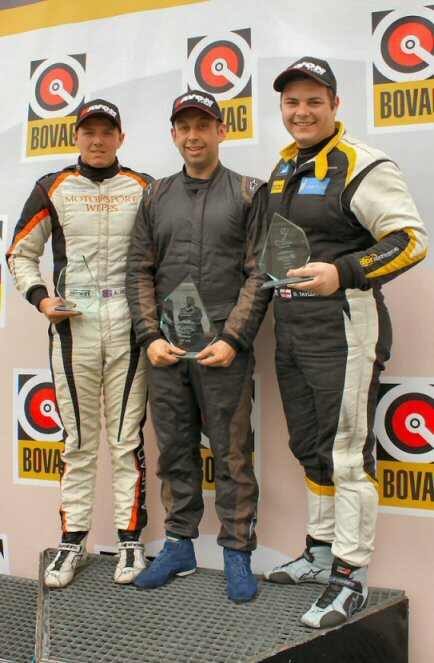 From the available 18 podiums in the team supported championships DPR drivers and customers gained 13 podium places. For the top-level Superlight R300 race the four DPR team drivers formed the first two rows of the starting grid and with DPR customer Aaron Head gained five out of the six podium results. In Supersport David Robinson (1st & 3rd) and Craig Currie (4th & 2nd) gained three podiums and in Tracksport Michael Gazda, Oliver Jarratt and Matt Dyer took five podiums between them. 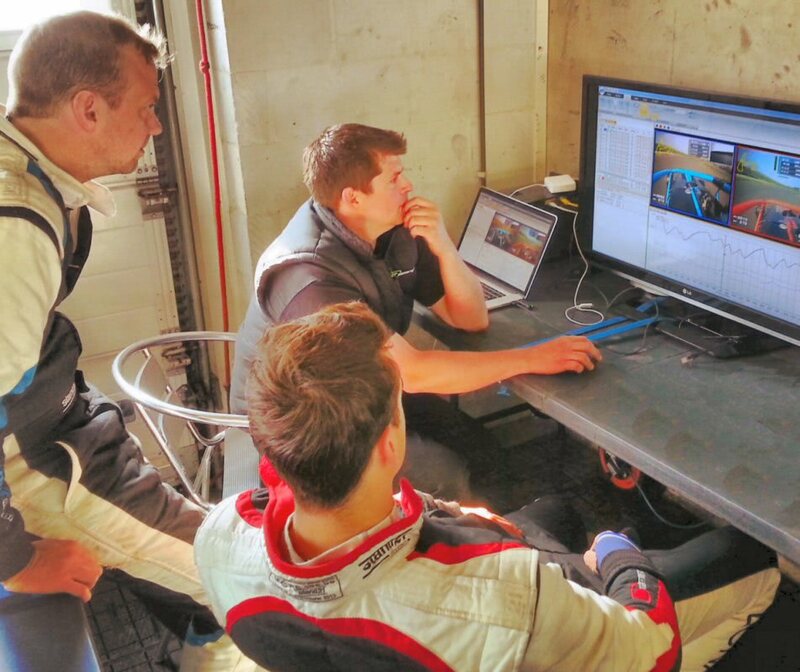 DPR team drivers are provided with unrivalled access to driver coaching which is fully integrated with data analysis as provided by the Racelogic Video Vbox system. At Zandvoort this allowed DPR drivers to benchmark their performance to find those extra tenths. The 1-2-3-4 gained by the Superlight R300 team drivers in qualifying with a gap between fourth and fifth of almost half a second demonstrates the benefits from this driver focused approach. The Superlight R300 team is coached by Paul Wilson and Ben Clucas supports the Supersport/Tracksport team. Each coach has their own data technician to ensure video files are loaded promptly after each on-track session thus enabling drivers to compare each others laps to maximise performance gains. R300 drivers are also supported by a specialist engine technician monitoring key indicators such as temperature and oil pressure. The scene was set with the DPR team drivers gaining 1-2-3-4 in qualifying with Stuart Leonard setting the pole time of 1.52.991. All four DPR team drivers set times within 0.3 seconds of each other. Fifth placed man Terry Langley finished almost half a second behind fourth placed Ollie Taylor. Race one saw the leading pack of DPR team drivers joined by Terry Langley who took advantage of the final corner to take 1st place followed by Stuart Leonard, Ed Hayes, Ollie Taylor and Craig Currie. DPR Customer Aaron Head set the fastest lap with a 1.55.076. Race two saw DPR team driver Craig Currie take the overall win followed by Aaron Head and Ollie Taylor with Stuart Leonard and Ed Hayes in 5th and 6th. Aaron Head gained a second fastest lap. Zandvoort saw the end of Ollie Taylor’s run of overall wins but his 5th and 3rd places keep his championship lead with an seven point margin. 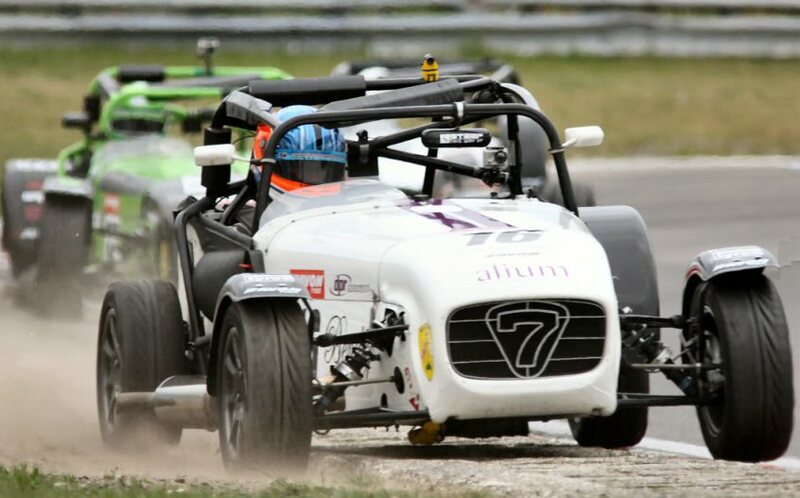 David Robinson and Craig Currie entered the Zandvoort round as the top two on the leader board. David Robinson gained a 1st and 3rd with Craig Currie’s 4th and 2nd maintaining their relative championship positions. Third placed man Mike Hart suffered a DNF in race one and has dropped back in the championship totals allowing Lee Wiggins to move up from fourth to third. 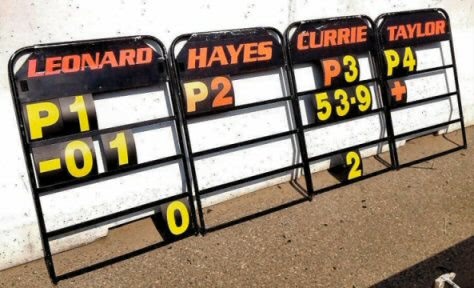 Fastest laps were David Robinson in race one and Craig Currie’s fastest lap in race two set a new lap record. DPR customers gain five out of the six podiums. Michael Gazda and Oliver Jarratt increase their championship lead. Oliver Jarratt (1st) and Matt Dyer (2nd) provided DPR with two podium places in a closely fought race one. Mark Lewis took third followed by Michael Gazda in fourth. For race two the three DPR drivers all gained podium places with this time Matt Dyer taking the win followed by Michael Gazda and Oliver Jarratt. 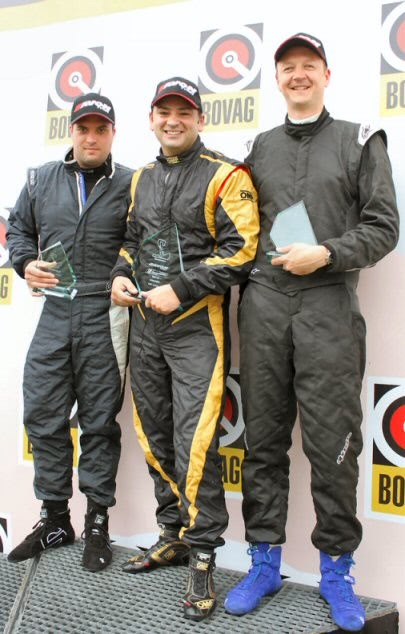 Michael Gazda’s championship points benefited from setting the fastest laps in both races. * Both Oliver Jarratt and Aaron Head are DPR customers, the remaining names under DPR are all race team supported drivers.